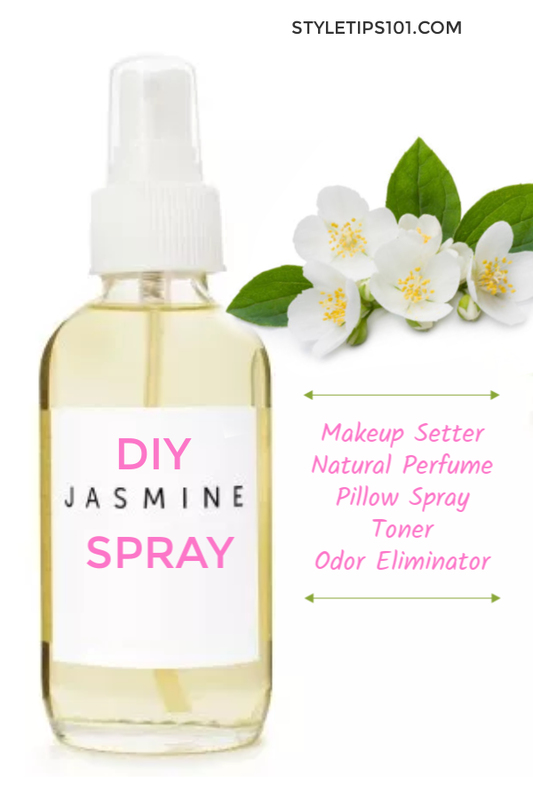 Try this DIY jasmine spray for a calming and hydrating face spray or to relieve annoying PMS symptoms! Jasmine is one of my favorite flowers to see blooming in the spring months and it is much more than just a pretty flower and a pretty princess name. This sun-loving, slender, white to creamy-colored flower is famous around the world for its sweet, floral scent and is cherished for its deep calming effects. It has been used for centuries to aid depression, calm anxiety, reduce stress and help people sleep. As a tea, oil, or in a spritz, the real beauty of Jasmine is the many different ways we can utilize this precious plant for our beauty and health! Jasmine contains a variety of nourishing antioxidants, antiviral and antifungal properties that help defend against unwanted toxins, infections and inflammation. It is a great addition to any skin-care program as it is known to rejuvenate dry or inflamed skin, promote healthy skin, and is anti-aging! You can easily add a few drops of jasmine essential oil to your regular moisturizer, shampoo or soap to obtain its revitalizing benefits. 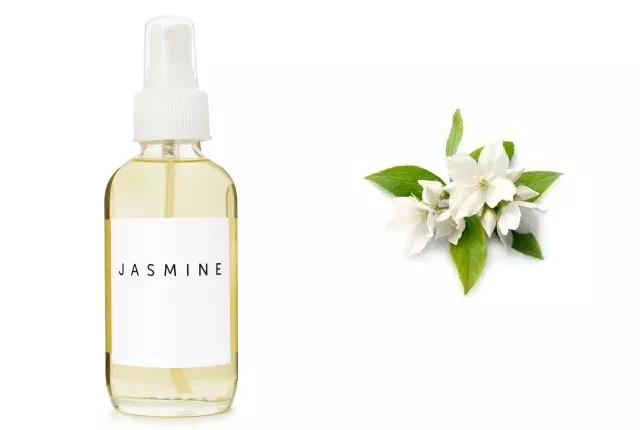 For an all-day glow and mental boost try a DIY jasmine face spray. If using an oil, you can also make an amazing facial spray by adding 10 drops of jasmine oil to either ½ cup of distilled water or aloe vera juice in an 4oz spray bottle and shake until well combined. Use on your face throughout the day to hydrate and relax. Another reason jasmine rocks and is particularly lady friendly is because of its phenolic structure which is similar to estrogen thus can help balance hormones and regulate PMS symptoms. By simply inhaling, or rubbing jasmine oil directly onto the skin either by itself or along with a carrier oil, PMS symptoms can be relieved while your mind is calmed. For an easy PMS relief rub combine 1 tablespoon of almond or coconut oil with 2-3 drops of jasmine oil and massage over the lower abdomen. Inhale deeply as you do so for extra calming effect.